Yesterday NASA released an article on their news page talking about the amazing work being done by our volunteers on Planet Four: Terrains. 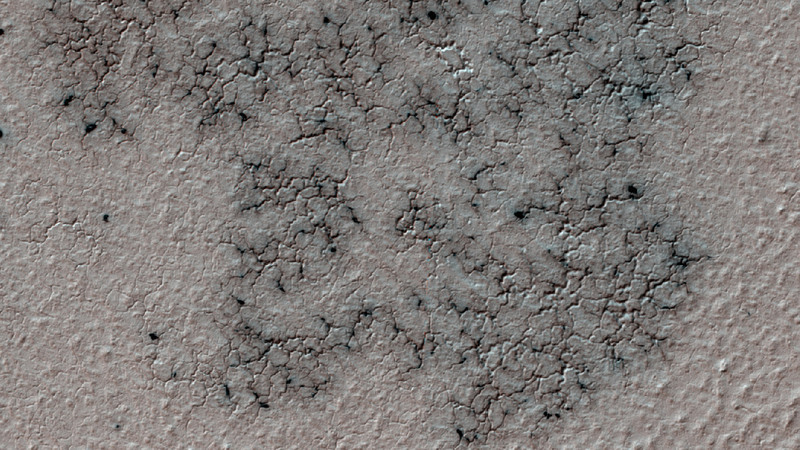 Thousands of people have been using the project to have a close look at the Martian polar surface and identify fascinating features such as the “spiders” you can see in the image above. You can read the NASA press release at www.jpl.nasa.gov/news/news.php?feature=6654.